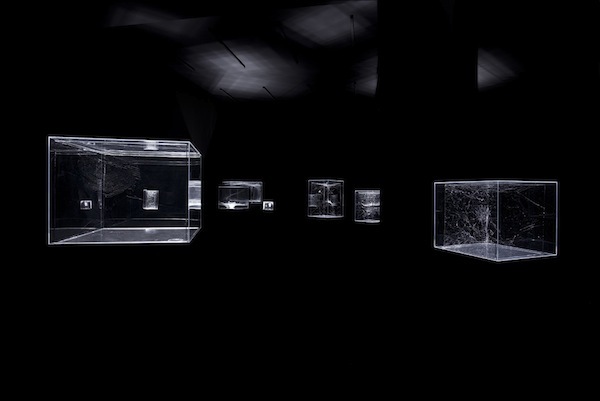 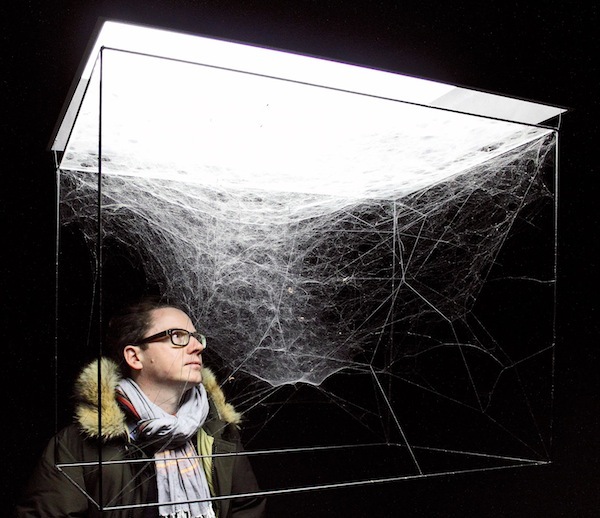 Works from the exhibition ‘Social … Quasi Social … Solitary …Spiders … On Hybrid Cosmic Webs’ by Tomás Saraceno at Esther Schipper, Berlin. 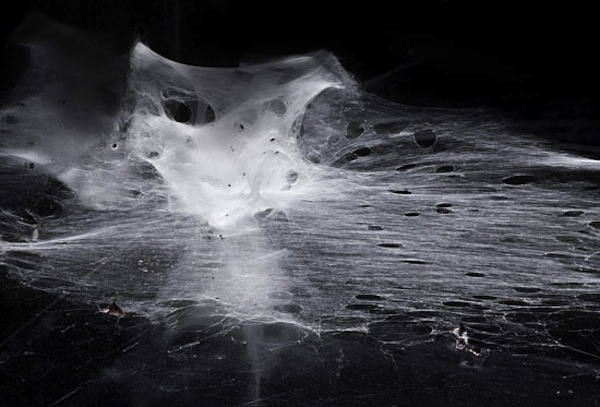 A display of hybrid spiderwebs made by various species of spiders. 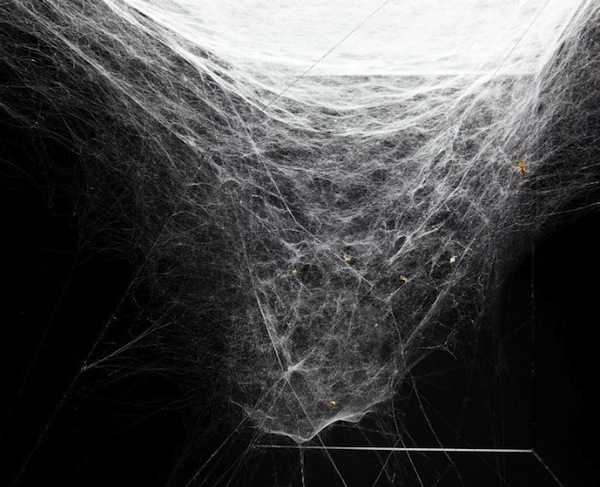 The result: webs on top and inside of other webs, webs woven by rare species of social spiders with webs of solitary, asocial spiders.